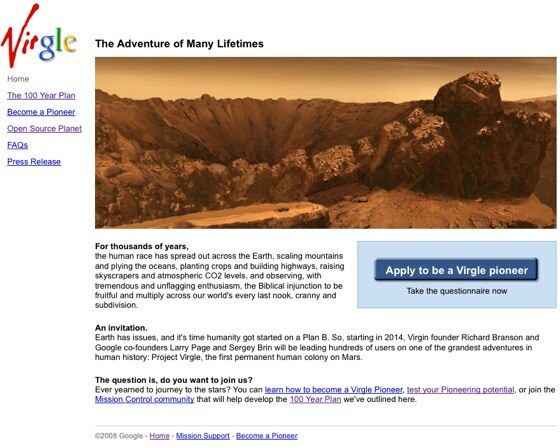 Sir Richard Branson has announced on the Google Blog Virgle, a joint Google/ Virgin project to establish permanent human settlement on Mars. Larry Page, Sergey Brin and I feel strongly that contemporary technology is sufficiently advanced to make such an effort both successful and economical, and that it’s high time that humanity moved beyond Earth and began our great, long journey to explore the stars and establish our first lasting foothold on another world…In the years to come, we’ll be sending up a series of spaceships carrying (along with the supplies and tools needed to build the new colony) what eventually will be hundreds of Mars colonists, or Virgle Pioneers — myself among them. 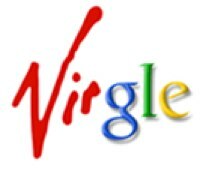 Virgle is currently taking applications on its site here. The official site also includes a 100 year plan for Mars Settlement and a statement explaining the benefits of the project being Open Source.